Cute ‘healthy’ candies for kids. Great service as always. Highly Recommend Cute cute gifts! Bought 10 using q express in hope to get all items at good condition. However, some came in dents.. can't give them as gifts. Bought 32 pieces of the candy towel and found smudge on 7 of them. Seller sent in replacement twice fast and appreciated that. Otherwise, designs were really cute. Is random design that we can't choose. Small towel. Pic is cute. Colour quite bright. But there is print smell. Hope will not be there after wash.
Quality is satisfactory. Small item. Fast delivery and also so cute the little hanky, highly recommended! So cute! My guests love it! Hi, apologies for the late reply. Our next dispatch is on 23 Oct.
Hi Seller, if i order 15 pcs of rabbit towel today, can I receive by tomorrow or wed? Need it very urgently for teachers' day celebration. Thanks. Hi, sorry we are not able to have the items delivered by wed.
Hi, you can do a store collection. 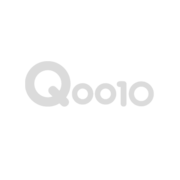 We cannot add a self collection option right away so it involves some adminstrative procedures with Qoo10. Hence, we suggest you place an order as usual and indicate that you would like to self collect in the memo. As for the delivery cost, we will refund you in cash during collection. Thanks.